In pre-settlement times, Door County was covered shore to shore in dense forests. Our native plant communities and wildlife habitat depend on quality contiguous forests. 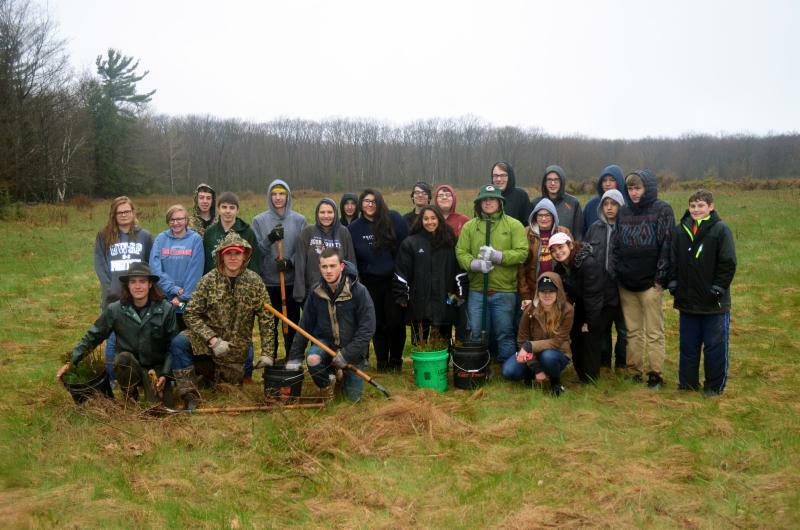 Last week, at Lautenbach Woods Nature Preserve, students from Sturgeon Bay High School worked alongside staff and volunteers to plant more than 2,500 trees, including white pine, white cedar, chokecherry, nannyberry and more. Over time these trees and shrubs will grow tall enough to shade out non-native invasive plants and bring diversity back to the former agricultural field. Birds and wildlife will find shelter and food along their important migratory highway that is Door County! Many, many thanks to these Sturgeon Bay High School students and the volunteers who helped complete this endeavor!